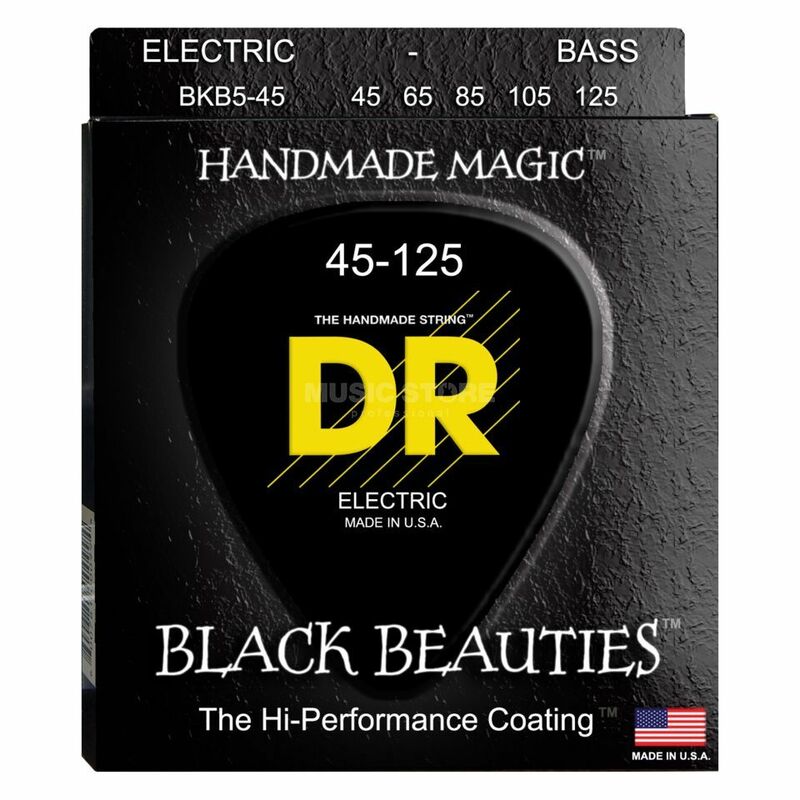 The DR BKB5-45 K3 Black Beauties Bass Guitar Strings is a set of 5-string bass guitar strings, featuring a nickel-plated round core, with a medium gauge of .045-.125, and coated black. The K3 Coating is the first coating that players report "sounds as good as or better than uncoated strings." DR's remarkable, proprietary and patent pending K3 Technology Coating is the first coating that produce more volume, less unwanted overtones, greater clarity and articulation then standard, uncoated strings. Yet, they provide the same protection due to corrosion and perspiration as well as increased tone life that coated strings are known for. Simply said, my all-time favorites. After having tried all kind of other strings form other vendors I stick to these. Just the sound I need, can be bright enough, can be deep and engulfing. I dont know if its the coating, or the fact that I wash my hands before I play, but they do wear longer than most other strings.